It might be radical but breakfast doesn’t have to be fried anything or contain pastries or even be in a bowl with milk poured over it. Today, I tried this instead: Poached egg, tomato chunks, blanched broccoli and carrot strips with a little olive oil drizzled on top for flavor. Bonus: No turkey bacon or donuts in sight. Next Post Why Sit When You Can Stand? I try to add more vegetables to my breakfast too. It’s great fitting in extra nutrients first thing in the morning. So true. If I was counting vegetable servings, I’d be able to relax after this breakfast. I remember seeing a lot more veggies for breakfast when I was overseas than I ever do here – definitely seems like a good idea! 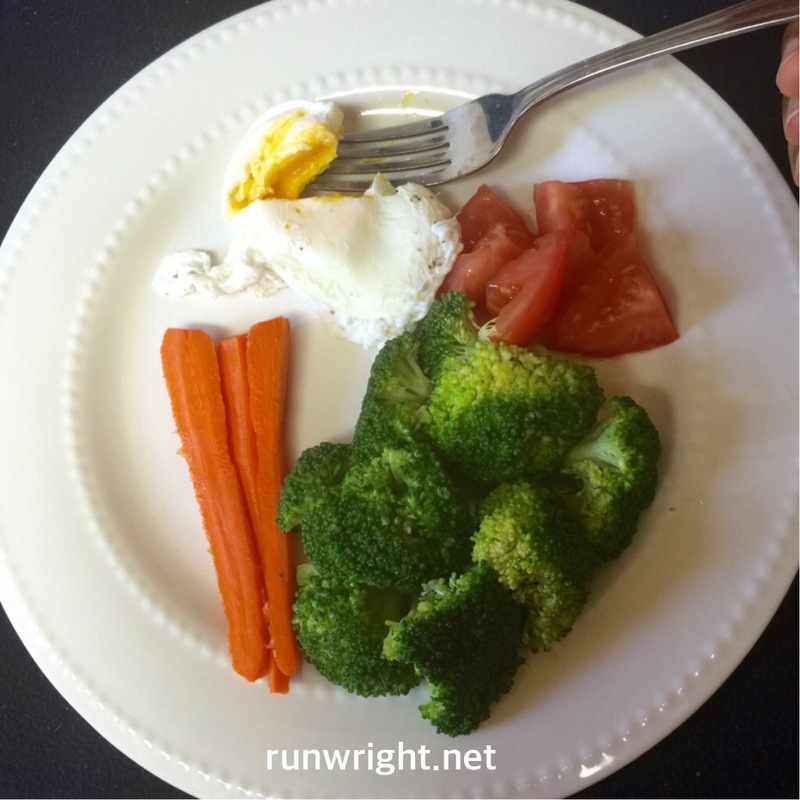 It’s sure better to each carrots and broccoli for breakfast than greasy bacon! Yes it is, Amber. And if I fill up on the veggies in the morning, it feels easier to eat healthy for the rest of the day.